City Commission of Pembroke Pines, Florida votes unanimously to direct City Manager to obtain necessary information to include Domestic Partner Benefits for City Employees. On direction from District 3 Commissioner Iris Siple, a motion was brought forth to study amending the City’s Employee Benefits Policies to include Domestic Partners and their dependents. Commissioner Siple noted in her presentation that not only would the cost to the city be minimal, it was the right thing to do given Pembroke Pines’ commitment to embracing diversity and progress. Representatives from the Policeman’s Benevolent Association, the AFL-CIO, and the Firefighters’ Union all spoke in favor of not only the study but quickly adopting a Domestic Partner Benefits package. 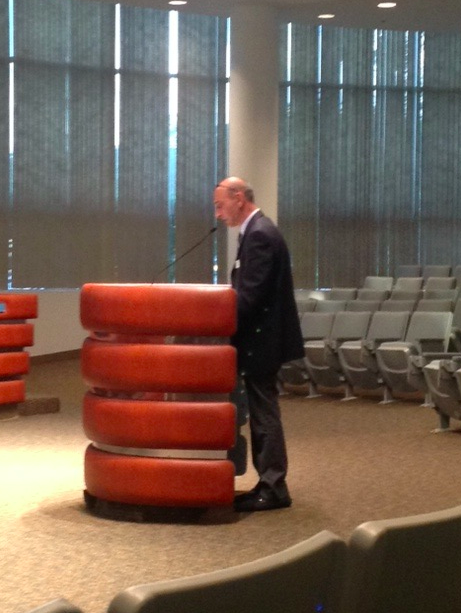 Clerk of the Broward County Courts, Howard Forman, a resident of Pembroke Pines, also spoke in favor of the motion noting that his office of over 700 employees has offered Domestic Partner Benefits for over a decade with negligible cost increases. Nate Klarfeld, speaking on behalf of Equality Florida delivered a statement offering support and guidance in implementing this program. On behalf of Equality Florida's more than 165,000 members including more than 10,000 members here in Broward County, we would like to thank you and the commission for taking up the issue of Domestic Partner benefits for your city employees. The item put forward by Commissioner Siple will ensure you have all the facts necessary to evaluate the costs and steps necessary to provide these vital benefits for your employees. Equality Florida has worked with dozens of cities and counties across Florida to help them implement DP benefits for their employees. A list of Florida municipalities that offer these benefits is below. The cost of providing Domestic Partner coverage is very low and the benefits are many. A study done by the City of Fort Lauderdale in preparation for implementing their own DP benefits program showed an average increase in the number of plan participants of just .53%, or less than one percent increase. Domestic partnership policies have been in place throughout the country for more than 20 years, and numerous studies demonstrate that a majority of all DP policies add less than 1% cost to the overall benefits plan. There are many important benefits to adding DP coverage. In addition to simply being the right thing to do on behalf of your dedicated employees, DP benefits have become an expected standard for most corporations and most South Florida communities. DP benefits are a powerful incentive for attracting and retaining top talent and a failure to offer them puts a city at a significant disadvantage. Studies also show that employees who have access to DP benefits are healthier, more satisfied, and less likely to leave their jobs. Domestic Partnership policies have become a basic standard for fair employee treatment. Thousands of companies and hundreds of municipalities including over 30 cities and counties here in Florida provide these benefits to employees. For all of these reasons, an overwhelming majority of Florida voters also support Domestic Partnership benefits. Equality Florida is happy to be a resource and to assist in any way we can as you work to bring DP benefits to the City of Pembroke Pines. Equality Florida is a statewide education and advocacy organization dedicated to building a state of equal rights for all Floridians inclusive of all sexual orientations and gender identities.